coming. It is something you definitely have to get used to. daily. I had to use quite a bit of it because I had a lot of surface area to cover. 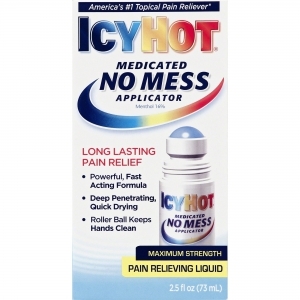 This maximum strength pain relieving liquid, definitely works. I, however, don’t think I prefer it to some of the other ones that I have tried similar to it. I do like the fact that it goes on the skin clear and dries quickly, and think it is perfect for people who are very busy. It is also great for people who have to deal with pain at work, because it easy to just roll on and put away.